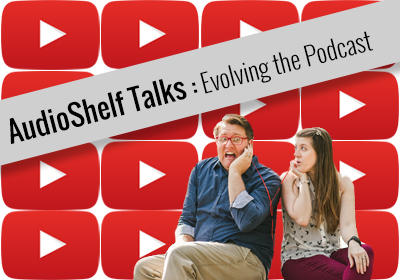 AudioShelf is about to go on their next adventure—BOOKTUBE! That’s right! Not only will you be able to hear us review books with our voices, you’ll now be able to see us review books with our faces! Join us as we reveal the next visual chapter on AudioShelf’s journey. And please subscribe to our YouTube! The most anticipated book release of 2019 is here: THE WICKED KING. In a spoiler-free, honesty and early review, Britney and Brad discuss Caitlin Kelly’s narration of Holly Black’s second installment of her The Folk of the Air series. Does the sophomore release hold true to it’s predecessor? Or does The Wicked King sink it’s way down to the bottom of the undersea? 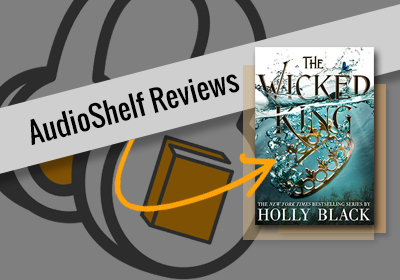 Find out if The Wicked King gets shoved or shelfed by AudioShelf. Genres come in all shapes and sizes. Join us as we chat about our most favorite genres to read vs. our least favorite. You probably won't be surprised by our list, but things do get weird, so enjoy that. Let us know if you agree with our list, and please like and share this episode with all your fellow weirdos :D! 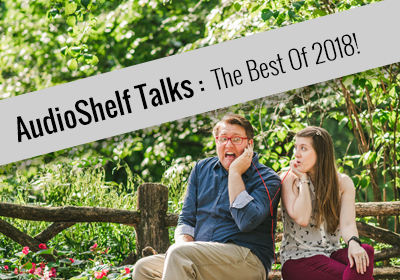 2018 has been quite the year for AudioShelf. We've succeeded, we've struggled, but ultimately we've learned more of who we are and what we want to accomplish. In today's episode we discuss our goals for 2019. 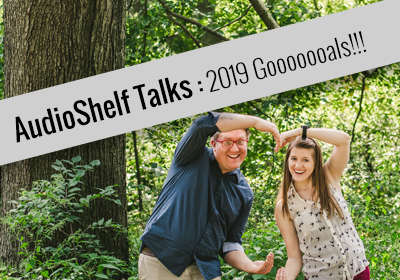 We each have 3 goals we have set for the podcast and some sub goals because, let's be real, we can't be confined to a set number...even if WE have set the number :P. Thank you to everyone that has supported AudioShelf this year and every year previous! You've made our dorky little podcast such a success! <3 Cheers to a great 2018, and here's to the New Year! Who are we? 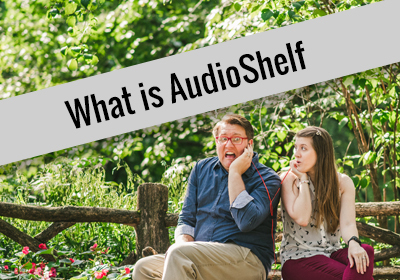 We’re AudioShelf! What do we do? 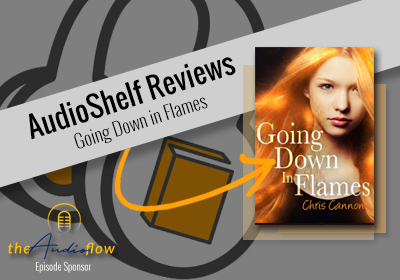 We give honest book reviews and attempt to relate to our listeners on a personal level. When do we release episodes? Every Monday and Thursday. Wait!?! Today’s Thursday. THAT MEANS THIS IS A NEW EPISODE!! Check it out and let us know what you think! It’s Christmas Eve and we have a very special present for you all! This episode is sponsored by Spectrum Audiobooks. 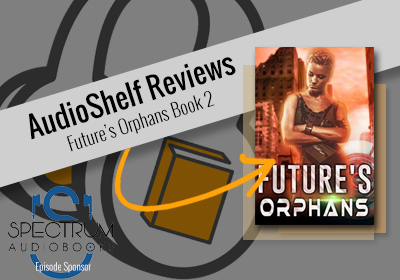 They asked us to provide an honest review for Future’s Orphans—a novel about a “junkie journalist” who is trying to find the truth behind a mystery that takes place in an apocalyptic setting. Will AudioShelf Shove this science fiction story, or will the Shelf it for all of eternity? Find out on today’s episode of AudioShelf. 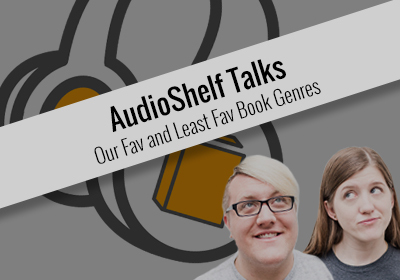 This episode of the AudioShelf Podcast is sponsored by Spectrum Audiobooks! Magic? Or a Has-Been Needing Some Coin? Ho, Ho, Ho....what did you just call me, Santa? 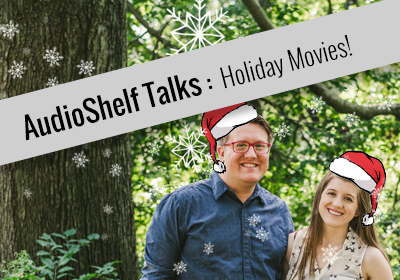 Join Britney and Brad as they chat about their favorite holiday movies they watched this year. Some are classics, but others are holiday newbies. Did your favorite Lifetime, Hallmark, Netflix, or Hulu holiday movie make our list? Find out on today’s holiday-spectacular episode of AudioShelf! 2018 has been a CrAzY year for amazing books. 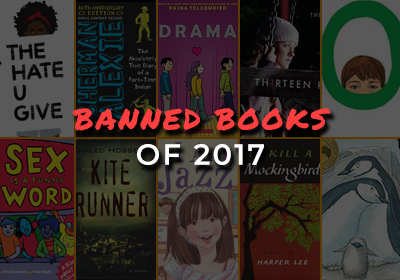 There have been so many great reads it was so hard to choose our favorites! Today, join us as we countdown our Top 6 reads of 2018! The honorable mentions also make their way onto the list too! Did your favorite make the cut? Find out on today’s episode of AudioShelf! Thank you to Paul from Audiobookreviewer.com for being a producer on this episode!